King Ram arrived in Ayodhya with much fan-fare. The stories of his conquest and victory over the Demon King of Lanka had reached Ayodhya through Vanavas or the exile in the forest. His step-brothers Bharat and Shatrugna ordered cleaning and decorating the city of Ayodhya. The city was brightened by the lighting of thousands of lamps throughout the city. The Prince and his queen had now settled in the kingdom. Soon there would be a coronation of the new king. He will perform the Ashwamedha yagna, the ritual of the horse, to be crowned as the king. His queen Sita was resting peacefully beside his side in the chamber. From the window, he could see the Durban or a messenger for the court running towards the living hall. Something worried him, the durban looked disturbed. He got dressed and stepped out. His loyal brothers Bharat and Shatrugna were talking among themself. Bharat always the humble stood as soon as Ram entered the chamber, "Greetings big brother. We do not have any royal court proceedings today," he informed. "I saw Durban coming this way earlier," Ram spoke as softly as he could, "Did he bring any message?" Bharat and Shatrugna looked at each other and hesitated. The Durban had brought a bad news. "Bharat," Ram asked again, "What is it?" "Brother," Bharat began, "Durban came with a message that there is a doubt creeping among the subject about Chastity of Queen. Some people overheard the washer-men talking about it." A sharp pain erupted in his chest on hearing the news. "We can capture him and throw the mischievous washer-man in prison for the rest of his life," Bharat's suggestion disturbed his thoughts and he was brought back into the court. "And what will be his crime, brother?" Ram asked, "That he spoke out his inner fears?" "Sedition," Bharat said, "We can throw him in jail under Sedition law." If a small amount of doubt crept in any of his subjects, they might start disrespecting their queen. It would not be good for the Kingdom of Ayodhya. A small trickle of tear washed his cheeks to think of his Trial every day as he sat on the throne. The best option was to leave the kingdom for the forest. "And how many people are you going to throw in jail?" Ram asked, "Everyone?" "You can punish the man, not the idea. By throwing him in jail, we will dishonor the law of the land. You will sow the seed of distrust among the subjects," Rama said, "I think it will be better for me to let go of the throne and spend the rest of the days in the forest." Bharat and Shatrugna looked petrified at the thought. While Rama was a young prince, he was getting trained in politics and problem solving under the great Sage Vishwamitra. One such problem came forward when they learned that the sage Gautama had cursed his wife to remain invisible to everyone until eternity. Rama's teacher Vishwamitra called her as mahabhaga or extremely unfortunate. He requested Rama to free her of her troubles. "But why call her as mahabhaga? Gurudev," asked the young prince Rama, "Didn't she cheat on her own husband?" "As a king, Oh Rama, you will have to bridge the gap between the crime committed and punishment for that crime. The bane of every civilized society is to find an optimal gap between crime and punishment. Sometimes the punishment exceeds the nature of the crime and thus a just decision can be injustice." "What are you saying, brother?" Shatrugna almost screamed, "We kept the throne empty for fourteen years because you are the rightful owner of the throne. You are kind, you are just and you are the most brilliant king this kingdom has ever received. Why would you leave a kingdom because of what some washer-man thinks?" "For the same reasons you mentioned before. I am a just king and I cannot punish someone from voicing his insecurities. Sedition law is in force if the person doubts the integrity of the kingdom, not if the person doubts integrity of his royal family. I understand that having Sita with me will cause more trouble to Ayodhya and the peace. A distrustful king cannot rule the kingdom in peace. It will be more..."
"... do not event think about it," Lakshman announced walking into the chamber, "I was listening to you speak. Do not even think about leaving us again. Last time I was begging you to stop going in the forest when the father ordered you, this time, I will not let you go." Ram considered his options for a moment. Who would rule the kingdom after he left? Lakshman was hot-headed and would never rule Ayodhya properly. His eagerness and hot-headiness had cost them more than once in the forest. Shatrugna was a brilliant administrator and had handled the civic responsibilities well during his exile but he had an anger issue. Didn't he drag Manthara out of the garden in an attempt to kill her? Bharat, oh the dear brother Bharat, he stayed in a hut near the Sarayu river for fourteen years when Ram was exiled. No way he could convince him again. Ram could not let his kingdom suffer again. Neither could he let Sita suffer again. She was a princess and yet endured the forest for him. And now he knew why his teacher had used the word abhaga for Ahalya. "How can a justice decision be injustice, teacher?" Young prince Ram asked. 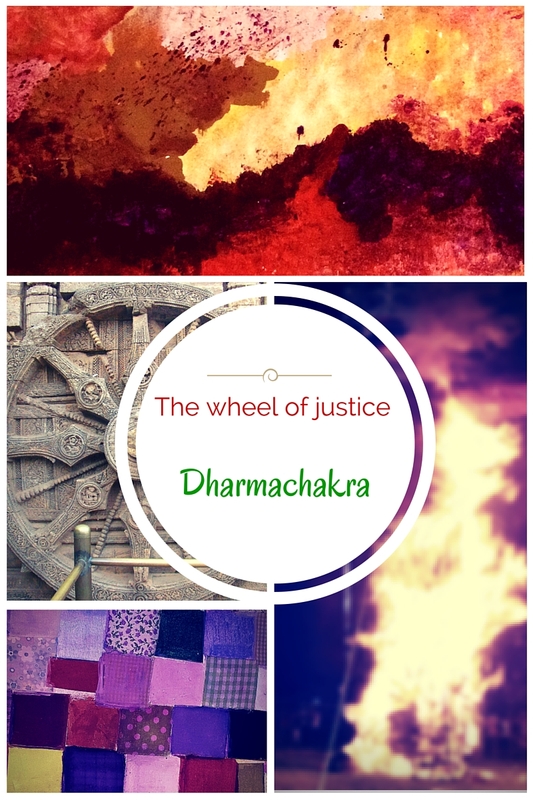 "The Dharmachakra is a complex justice wheel, oh prince, while the act of justice requires strict adherence to law, the principle of justice is about treating everyone the equal. So while Punishment vetted to Ahalya was in adherence with the law, she was treated unfairly by punishing for her desire. Do you think she deserves to be punished any longer?" "Who can really tell, oh teacher," Rama said confused, "Who can really tell how much punishment does one deserve for the deed? Isn't that God himself that will decide? Isn't what is Sin decided by the God?" "God isn't here at the moment but you are. And as a King, you are the next best thing to God. Your entire life you will be judged upon moments when you will have to weight in the crime committed and punishment vetted. Sometimes it might not seem fair but you have to take the call anyway. Sometimes your own loved ones will be on the other end of the law and you will have to be decisive. To carve the perfect Kingdom, oh prince, you have to walk the thin but sharp edge of the law but at the same time maintain the principle of justice. If there is a gap, tilting to the side of crime or of the punishment, someone always pays the price for miscarriage of justice. The Dharmachakra should always spin. As a king, it is your duty to keep it spinning. Keep the Dharmachakra in balance and you will win all the battles." Rama looked at his teacher horrified but now he knew what he had to do. He freed Ahalya from her curse. The principle of justice was restored. The dharmachakra must spin. Lord Ram thought. If he does protect Sita from the doubt of the commoners, how would he be different from Ravana? He let his own son get slaughtered in the war just to fulfill his own lust. His brothers were looking at him hopefully for a decision. "No sedition, no punishment," Lord Ram finally said, "I will talk to Sita myself and ask her to stay at her father's place for a few days." "Brother!!!" Lakshman was horrified at his brother's suggestion, "You cannot punish Sita Mata for the commoners doubt." 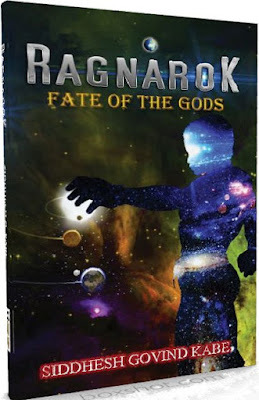 Lord Ram touched his hot-headed brothers shoulder, "True justice in this case would be that we both leave the kingdom, only then the dharmachakra would keep spinning." Lord Ram hesitated, the decision was just for the kingdom but injustice for Sita. Hence the principle of justice, the dharma, was not on his side. The young prince had asked his teacher one question all those years ago, "What happens if the dharmachakra stops spinning? What happens if there is injustice in the kingdom?" The wise king, who had now turned into a Sage, smiled and said, "You find out." As King Ram walked into his private chambers to talk to Sita, he knew, he was finally going to find out what happens on the other side of Dharma. Note: Lord Ram will place the golden statue of Sita on the throne of the queen in her absence. The kingdom of Ayodhya grew prosperous but the Dharmachakra was misaligned and hence Lord Ram could never complete the Ashwamedha Yagna, the highest honor a king could get. The man who defeated an undefeated kingdom by just commanding a band of monkeys was defeated by two children in the next war. The dharmachakra should always spin, if it stops, you find out.